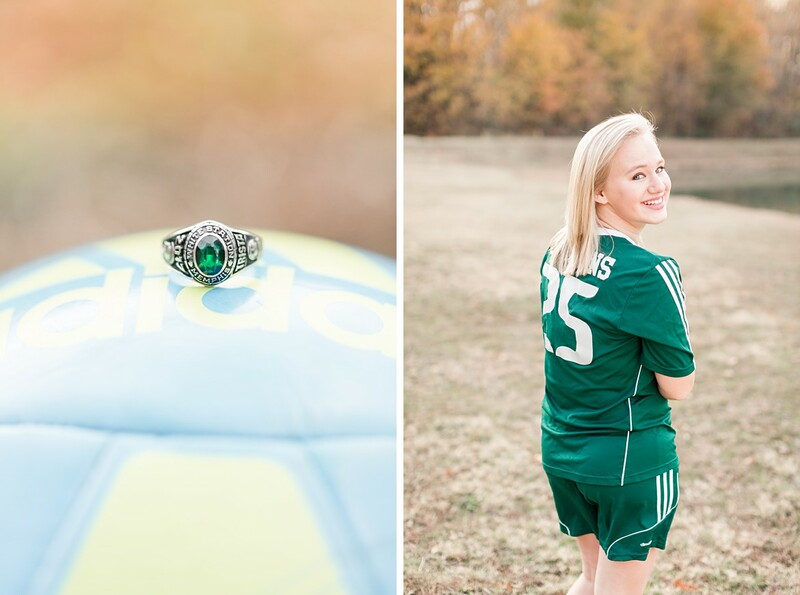 When we do Senior portraits, it’s usually a parent of the Senior who contacts us. 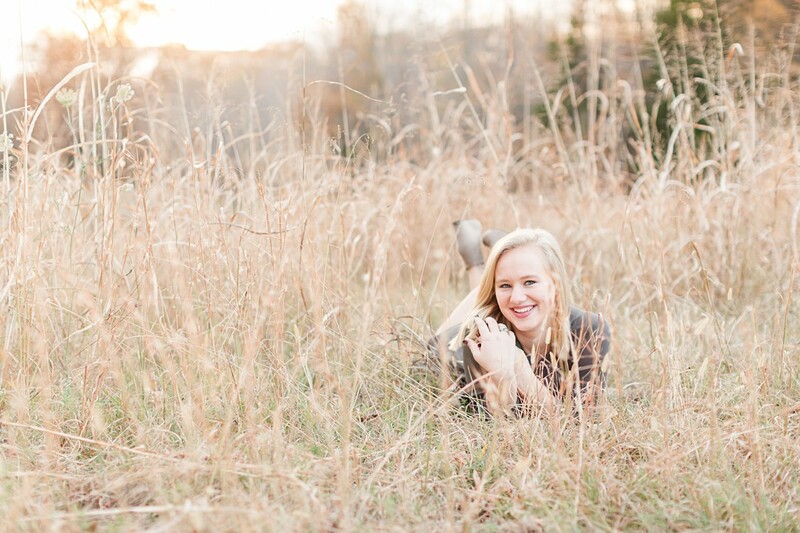 With Trista, this wasn’t the case. 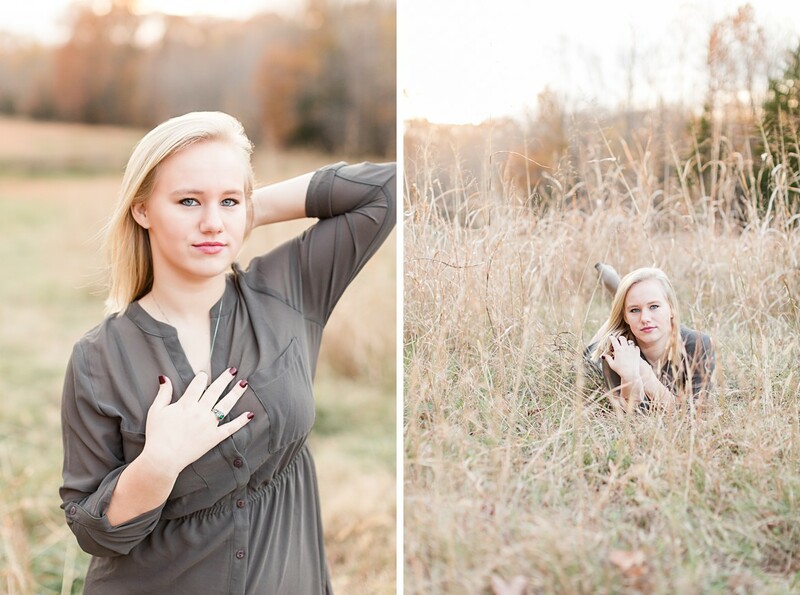 She contacted us herself, so we were super honored to do her session. 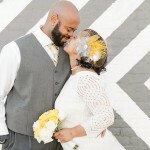 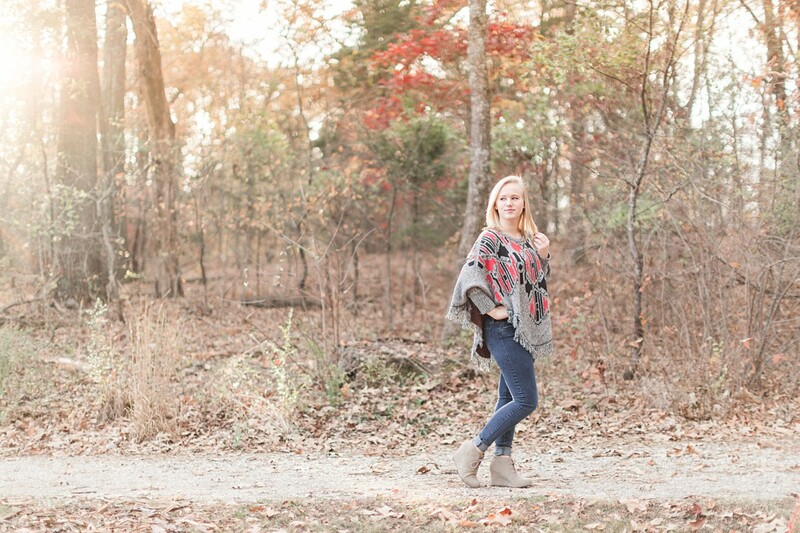 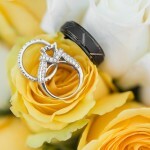 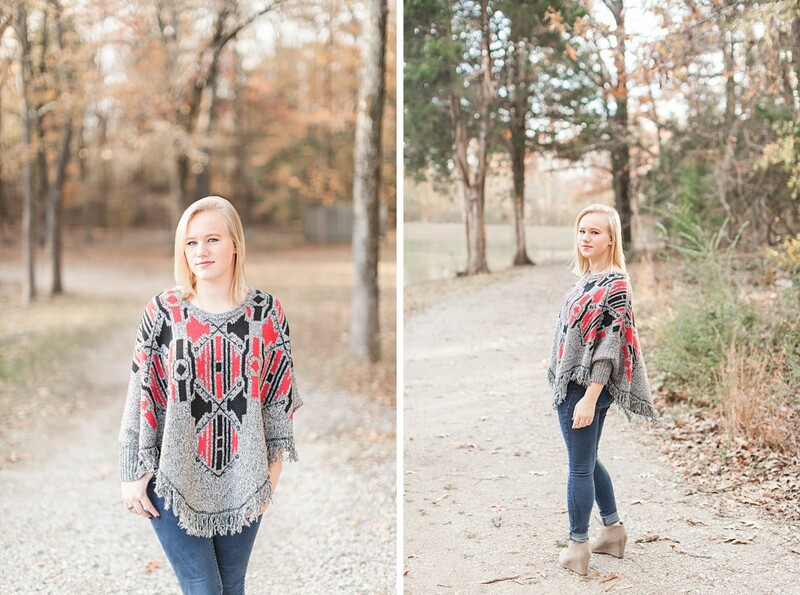 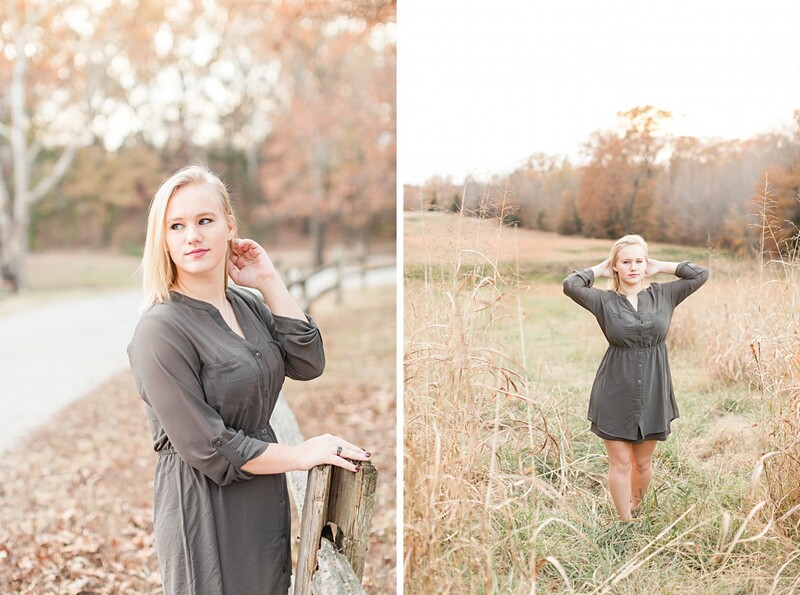 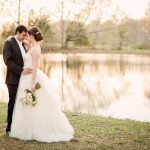 We love love love it when a Senior is invested in her own photos! 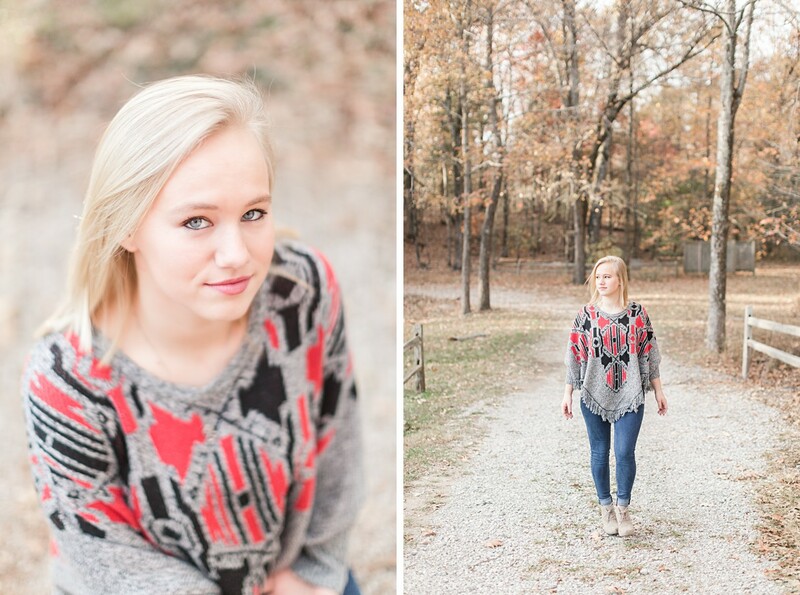 Her session was right at the end of the year last year, before the last of the leaves fell from the trees. 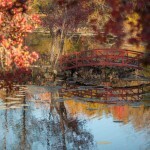 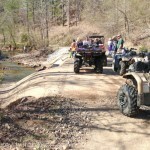 The Fall color was amazing, making the golds, greens, and even a few reds just pop! 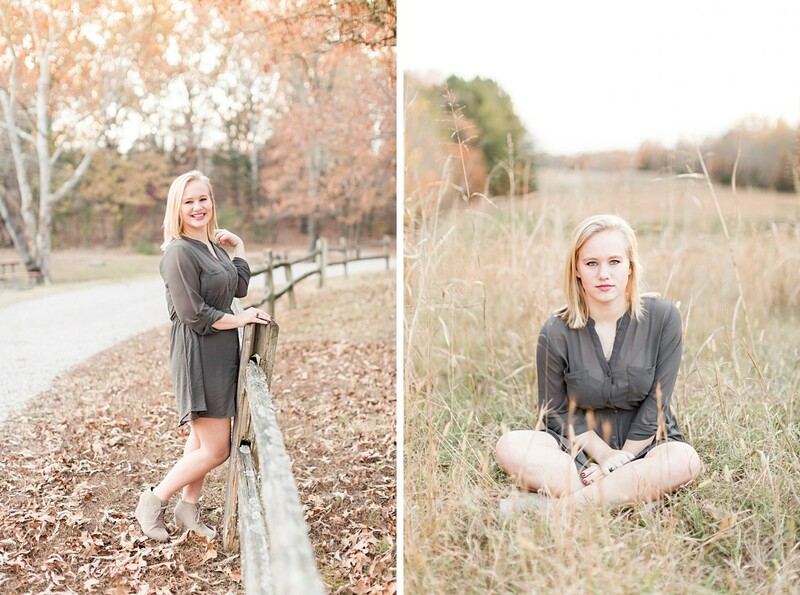 Combined with Trista’s beautiful style, it made for perfect portraits! 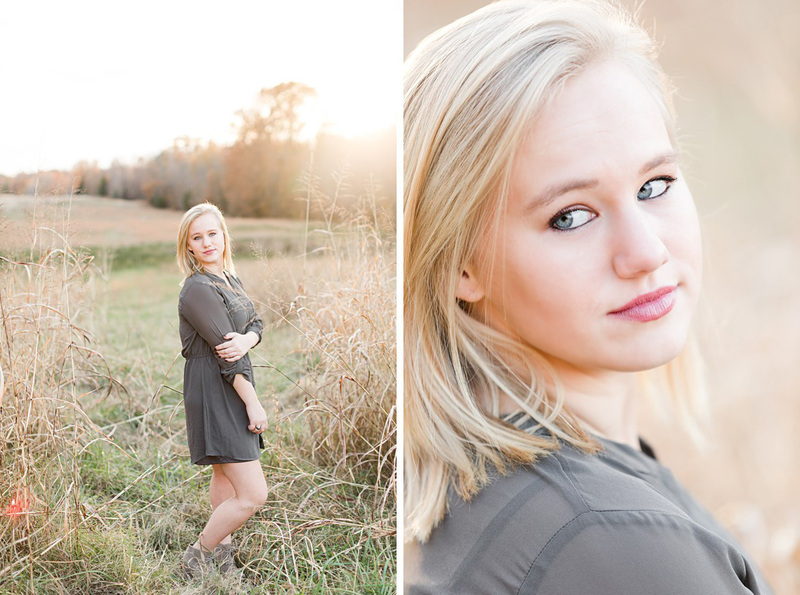 The sun on this particular day was crisp and bright, a perfect match for Trista’s light blonde hair. 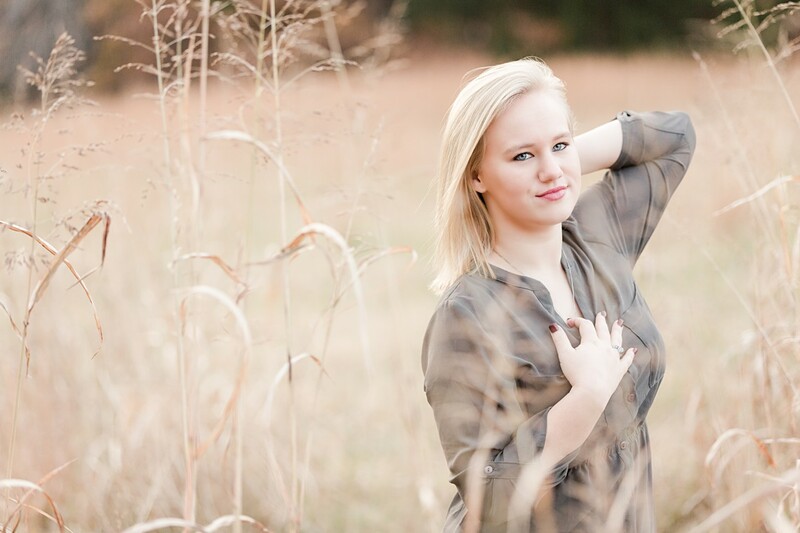 We asked her what her favorite features about herself are, and she mentioned her hair and her eyes. 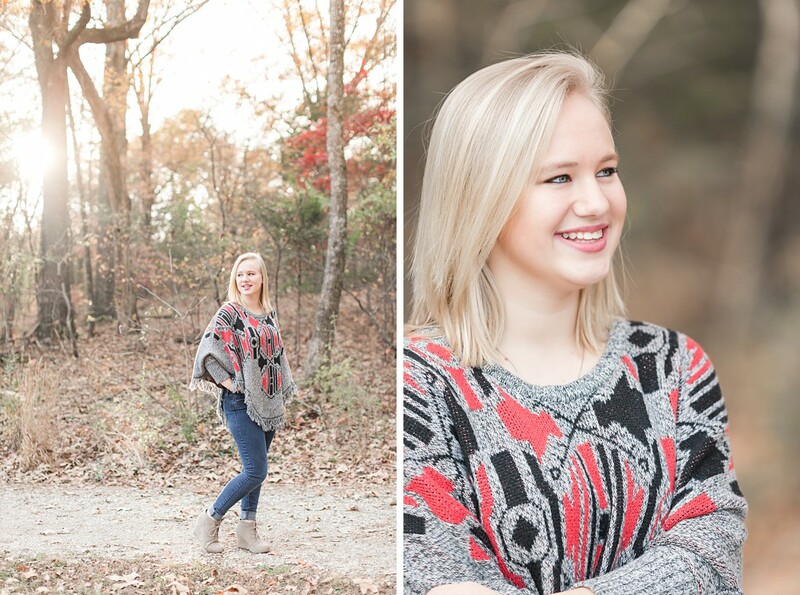 While we agree that they are both gorgeous, we have to also include her dimples! 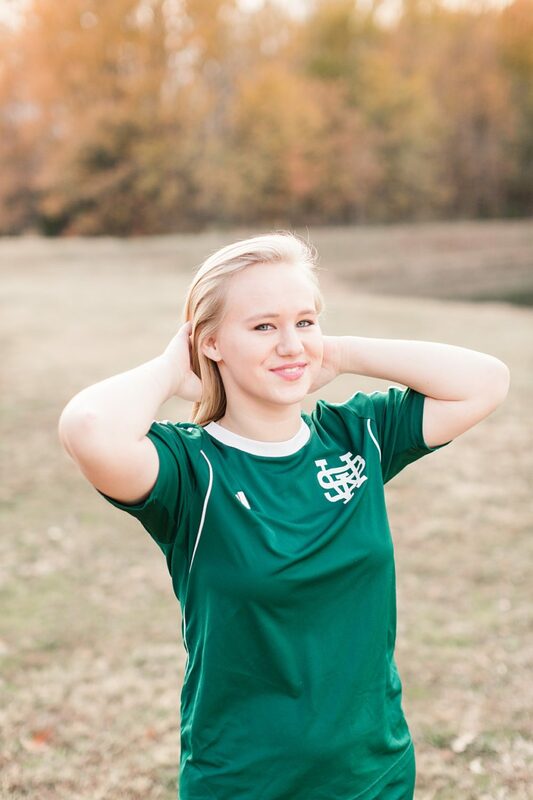 I’m such a sucker for great dimples, and Trista’s are the best! 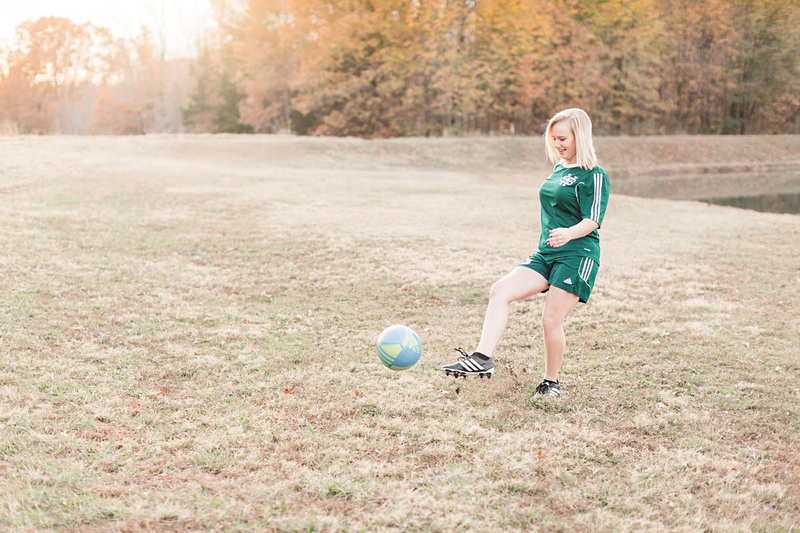 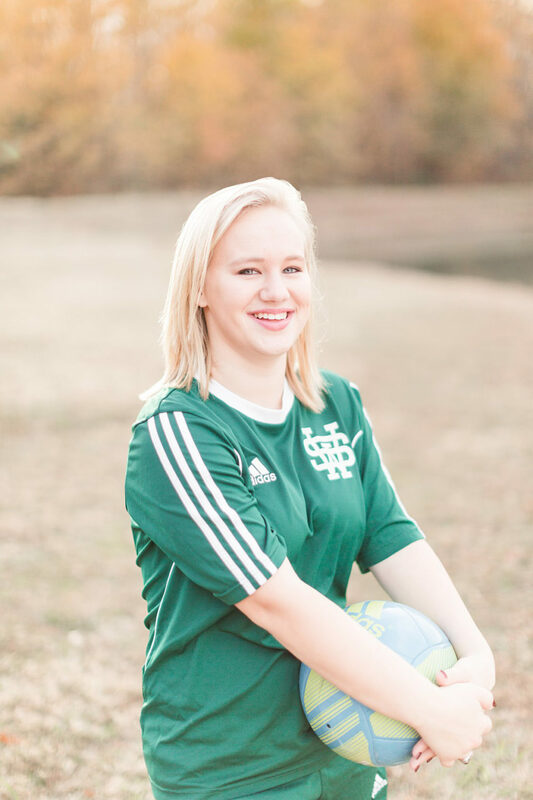 She brought along her soccer uniform as well as a dressier outfit, and we had so much fun bringing out each facet of her personality! 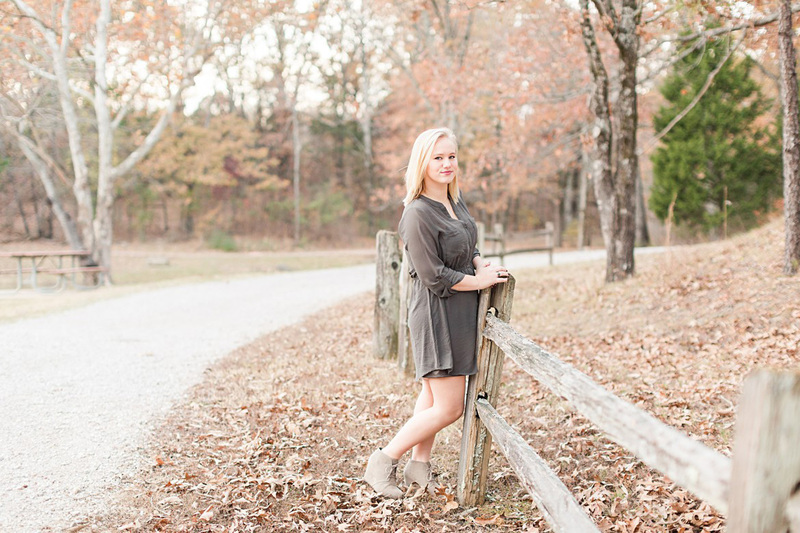 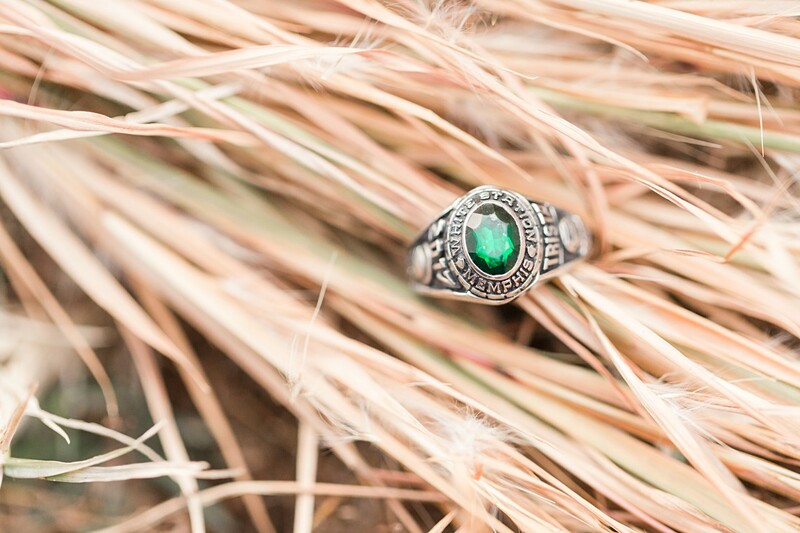 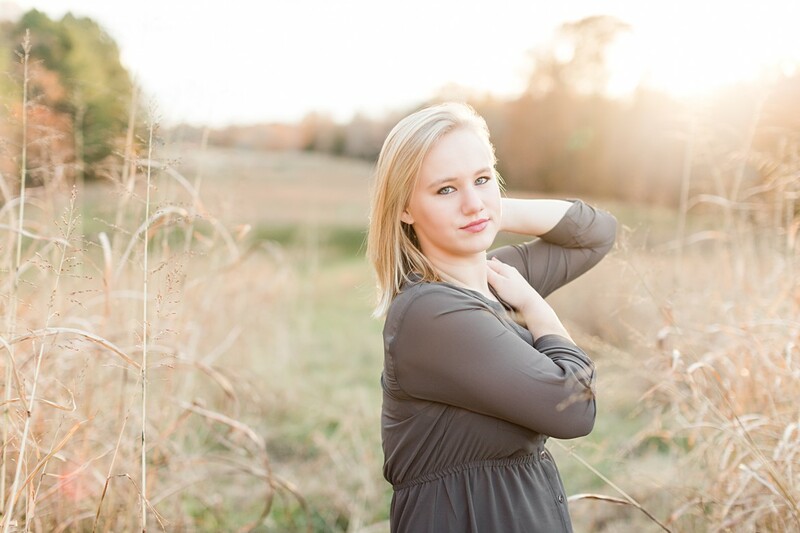 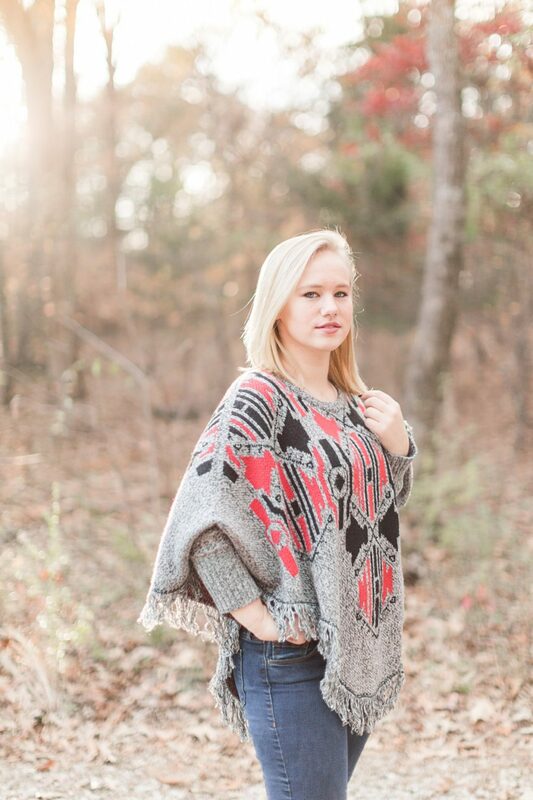 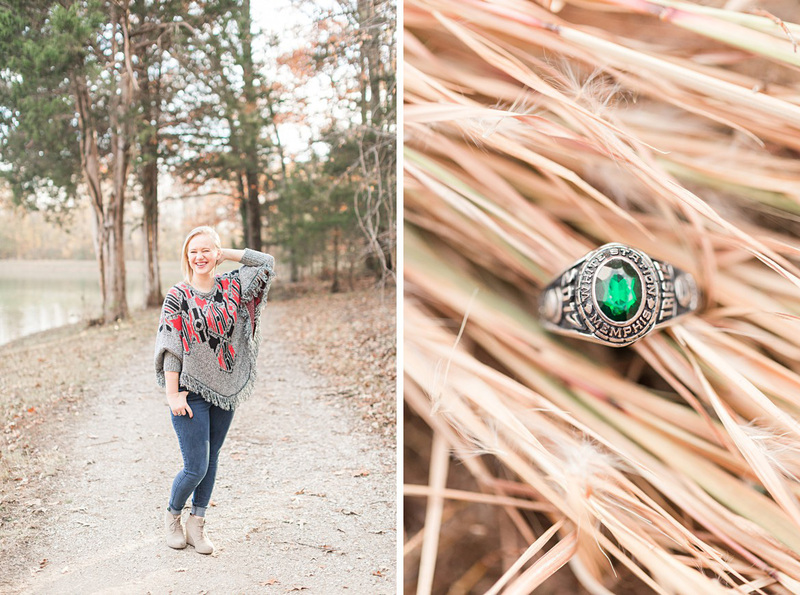 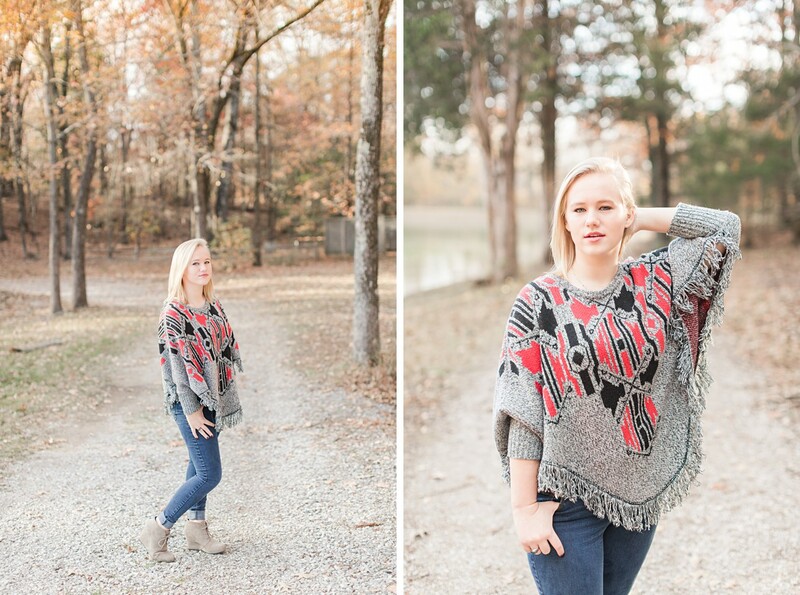 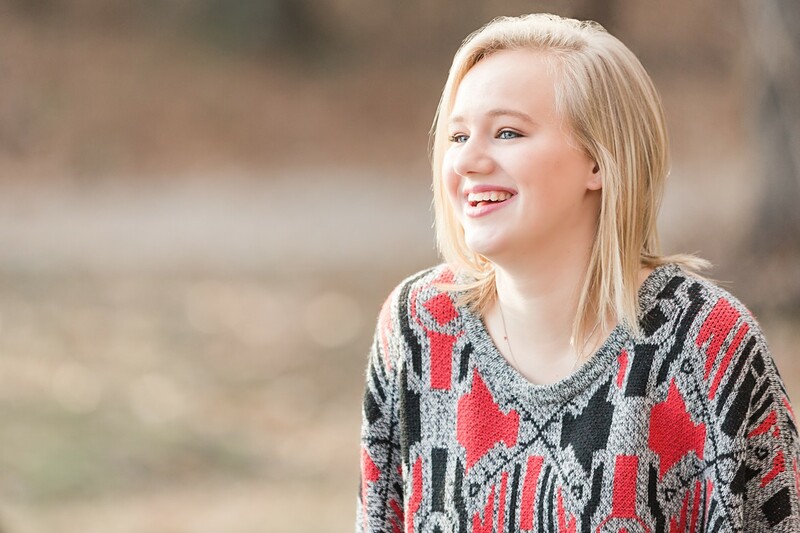 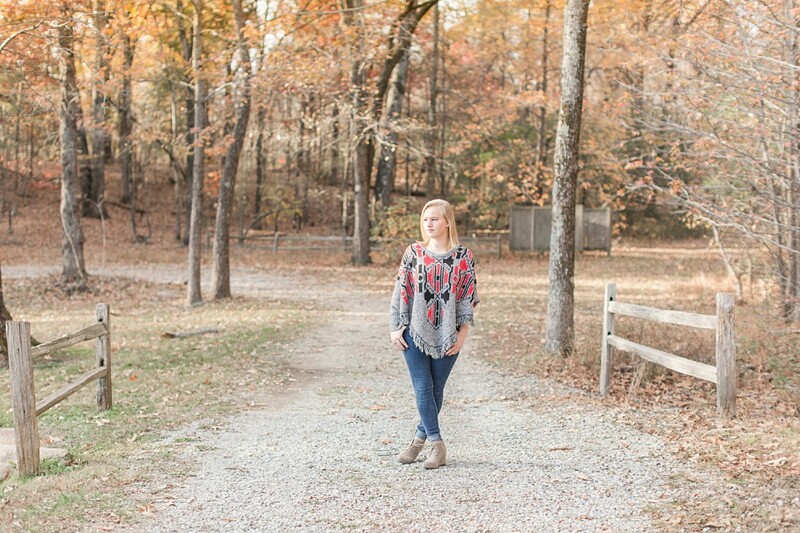 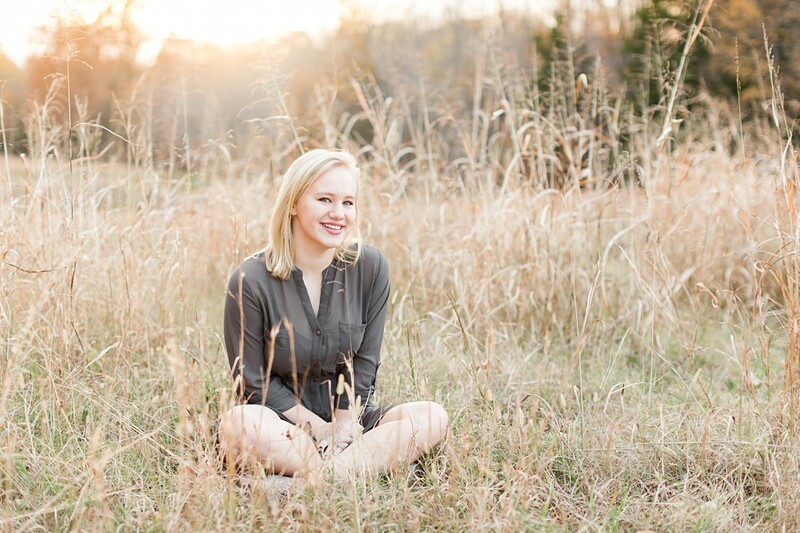 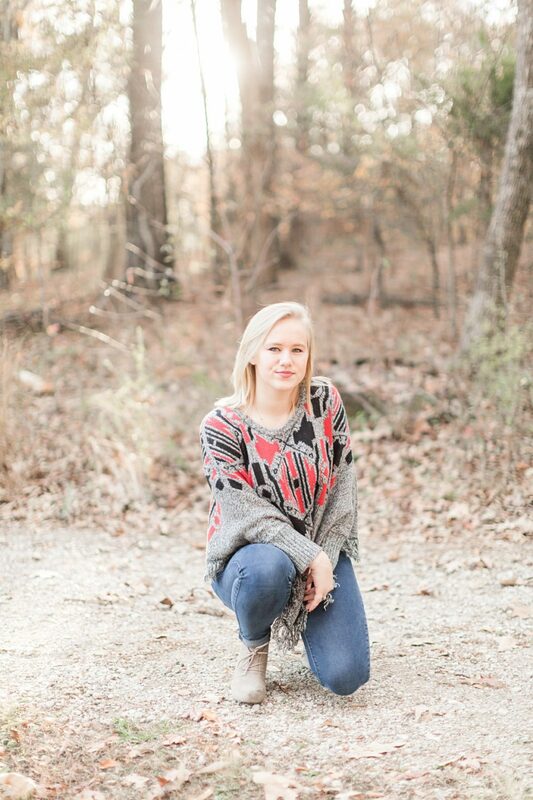 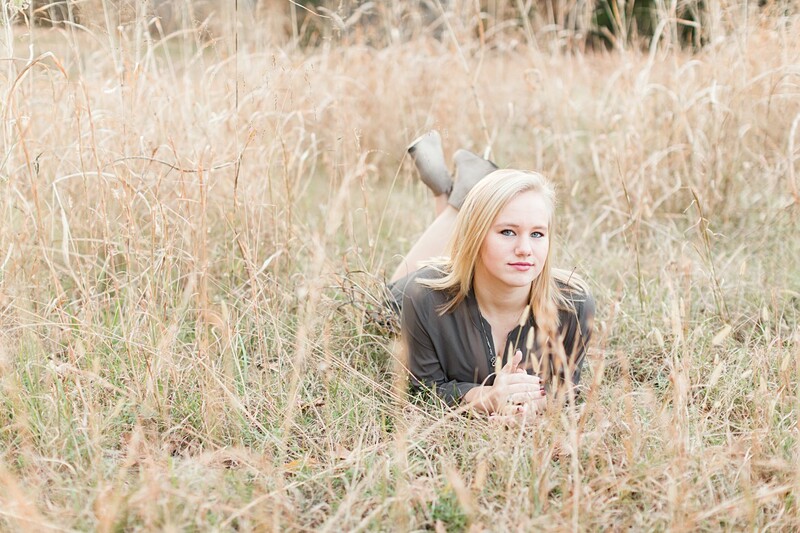 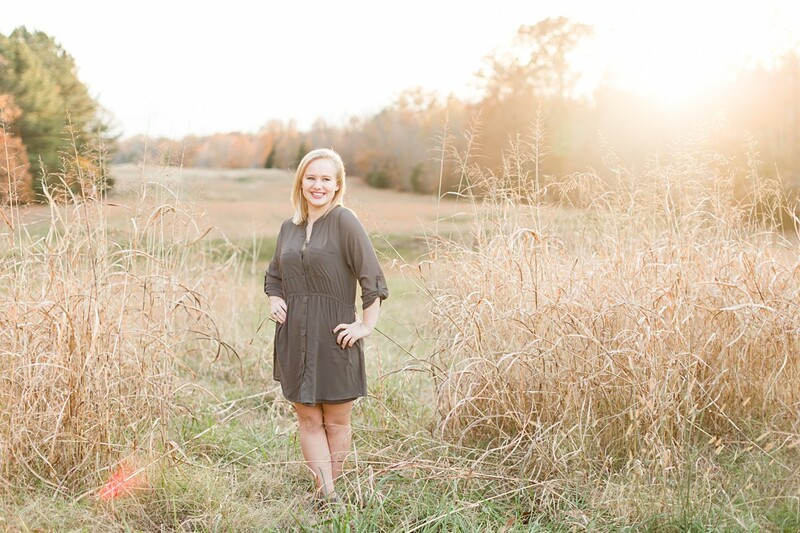 To see another of our favorite Senior sessions, CLICK HERE!